Thank you for joining us today for our International Stampin' Up! Blog hop. You may be just starting here or have come from the Talented Rochelle Blok. Either way you can make your way around by using the list below so that you don't miss a blog. 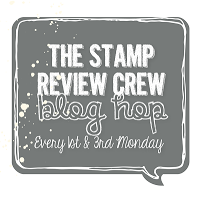 We have an incredible group of talented Stampin' Up! 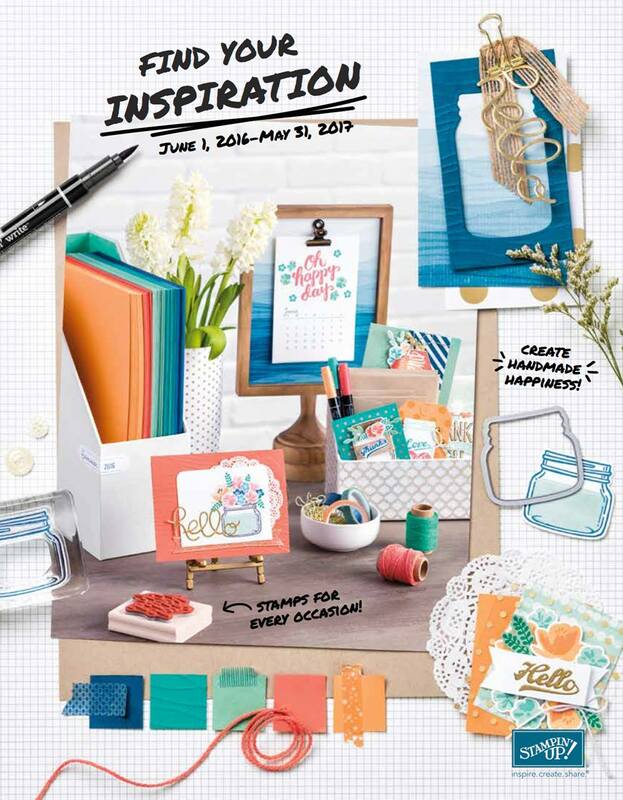 Demonstrators who wanted to highlight some of the Occasions Catalogue items, remember that Sale-a-Bration is happening at the moment too so you can earn free products! At the moment you are currently in London, Ontario, Canada and you're about to go around the world to different locations. Click for a better picture. 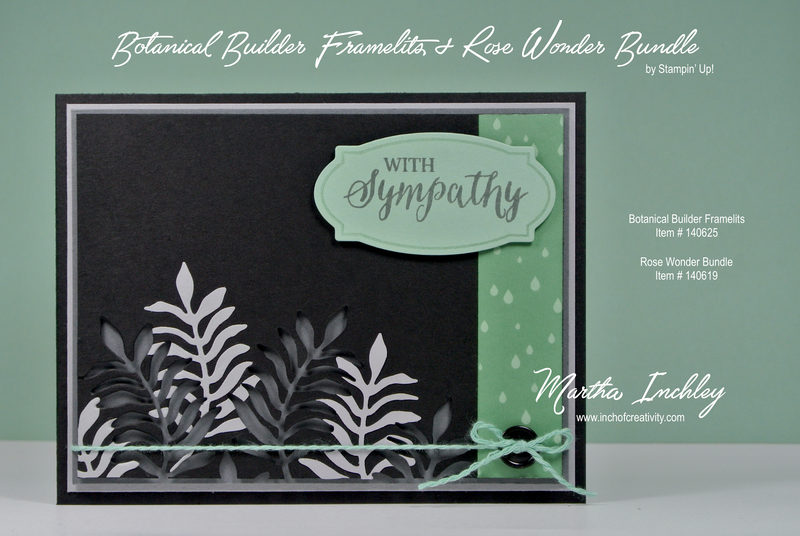 Today I'm sharing a card created with the Botanical Builder Framelits and the Rose Wonder stamp and thinlits bundle. 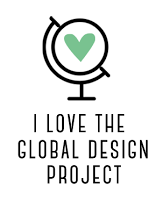 My colour combo is Basic Black, Basic Grey, Smokey Slate and Mint Macaron. To create my leaf design, I first cut out 3 leafs in Smokey Slate cardstock and glued them to my Basic Black card front. I had to make sure I covered the entire back of my leafs with adhesive, as I didn't want to lose any of my die cut once I die cut over top of it. Once everything was glued down, I die cut 3 leafs from the Basic Black cardstock, making sure to overlap my Smokey Slate leafs. I then popped it up with dimensionals. My Mint Macaron string is from the Two Tone Baker's Twine and I separated the 2 colours. My frame is Mint Macaron ink on Mint Macaron cardstock and my greeting is stamped in Basic Gray ink. 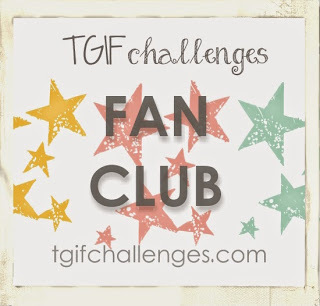 Thank you so much for joining me today - please make sure that you don't miss out on any of these amazing blogs as you hop around. Next up is the Talented Tami White! Enjoy! Martha Inchley- You are here! I like the colors used for a great affect. Breath taking! Beautiful card so I stopped by. So stunning - love it! Great details on this pretty card! 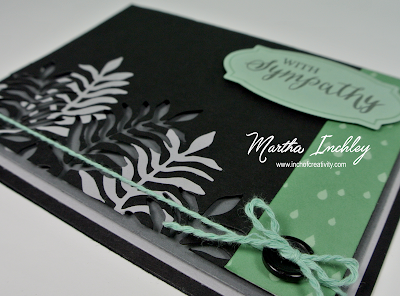 I love these colors for a sympathy card. It's so pretty. martha ... this is the first time i have "met" you! hello! this card is fantastic! those ferns are awesome! this is such a great card. I love what you did with the negative space from the cut out leaf!